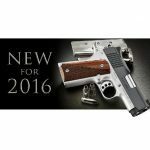 Kimber is expanding its 1911, Micro 9, Micro .380 ACP, and rifle product lines for 2016. 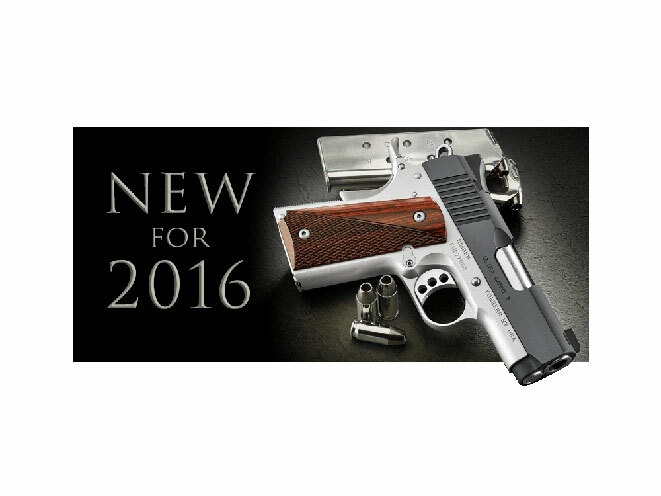 Kimber® makes a Pre-SHOT Show announcement of new products for 2016; for more information, visit http://www.kimberamerica.com/new-for-2016. 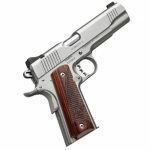 This year Kimber presents the Two-Tone and Stainless™ II families as its new foundational 1911 product lines. The transformation of these two lines blends the timeless look that Kimber is famous for with its reputation for providing unsurpassed quality and calibers demanded by today’s shooters. With Kimber’s signature modern-classic style, the new Two-Tone and Stainless II 1911 families also embody all the custom features found standard on every Kimber 1911, proving once again that Kimber simultaneously produces America’s highest quality 1911 and offers the best value. 2016 will also bring new features to the TLE™ II, Gold Match™ II and Super Match™ II product lines. 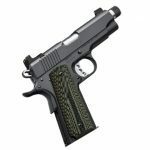 These flagship 1911 pistol families include all new performance-enhancing features and eye-catching finishing details. 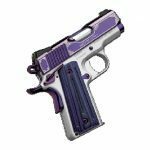 The striking new Amethyst Ultra™ II joins the Special Edition gem-tone collection, offering a 3-inch barrel, weighing in at 25 ounces and both .45 ACP and 9mm caliber options. 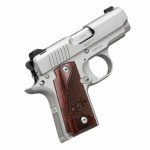 Kimber has also expanded its 1911 9mm caliber options to include the Pro CDP™ II and all three sizes of Stainless Raptor™ II. 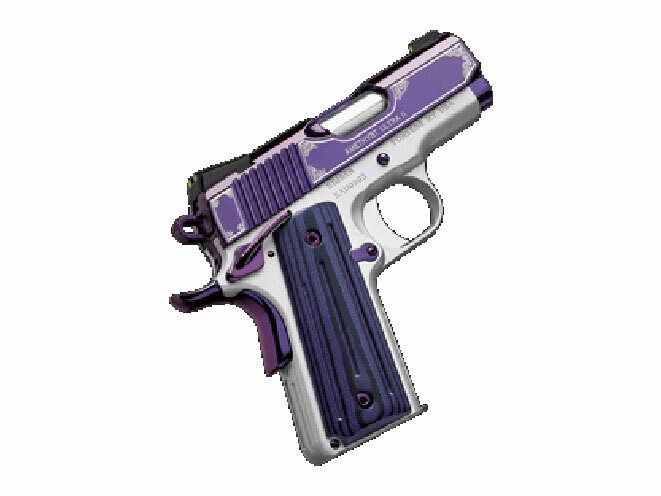 The Eclipse Target™ II is also now available in .38 Super. 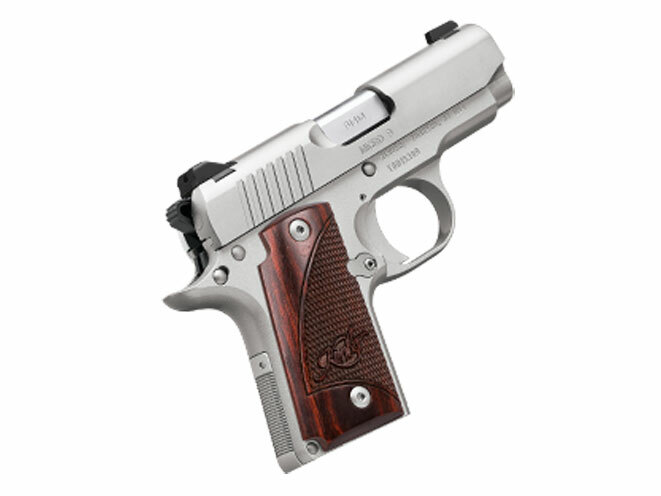 As the industry leader in manufacturing the highest quality micro-compact concealed carry pistols, Kimber is proud to introduce the Micro 9™ 9mm, which offers the same highly sought-after small-scale 1911 ergonomics, single action trigger, superior safety features and all-metal construction as its .380 ACP sibling. Micro 9 is currently available in three models: Micro 9™ Stainless, Micro 9™ Two-Tone and Micro 9™ Crimson Carry. Ideal for any shooter, the Micro 9 will set a new level of expected quality for the micro-compact 9mm. New to the Micro .380 ACP lineup are the Micro RCP™, Micro RCP™ (LG), Micro DC™ and Micro DC™ (LG) models. 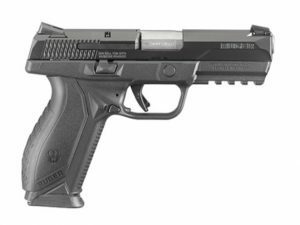 RCP (Refined Carry Pistol) models feature all-black construction, trench-cut sights, an ambidextrous thumb safety, vertical back strap serrations and either rosewood grips or laminated rosewood Crimson Trace Lasergrips™. DC (Deep Cover) models feature all-black construction, tritium night sights, an ambidextrous safety, checkered mainspring, either black cherry G-10 grips or Crimson Trace Lasergrips and each ships with an extended magazine. Year after year Kimber mountain rifles prove to be the best value on the market today and the top choice for hunters, no matter where the hunt takes them. Adirondack™ rifles now wear the new Gore™ Optifade™ Elevated II pattern and have added the .338 Federal to their caliber offerings. 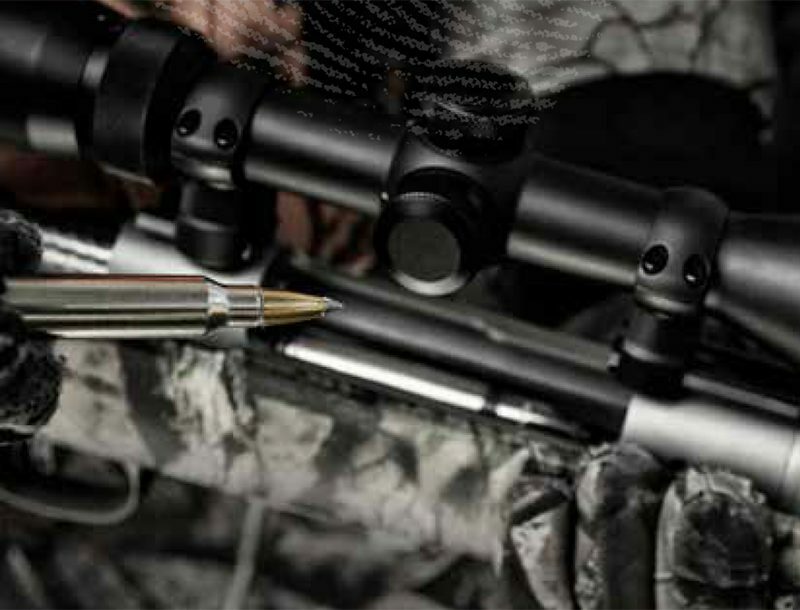 The Mountain Ascent™ is now offered in 7mm-08 Remington and 6.5 Creedmoor, while the rugged and durable Montana™ now comes standard with a threaded barrel and thread protector (muzzle brake available separately) and adds the 6.5 Creedmoor and .22-250 Remington to its already expansive list of caliber offerings. All Kimber rifles are built to the Kimber SUB MOA Accuracy Standard, which guarantees that each rifle will shoot a three-shot group at 100 yards measuring one-inch or less with premium factory ammunition. 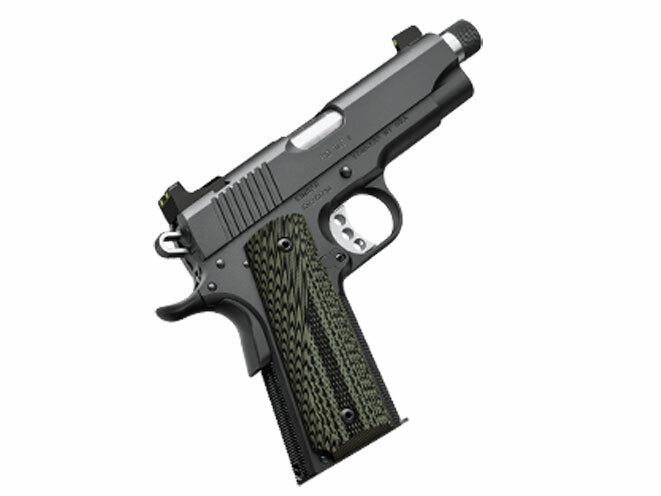 Kimber Mfg., Inc. is an American company that designs and manufactures premium firearms for individual, sporting, law enforcement and military markets. 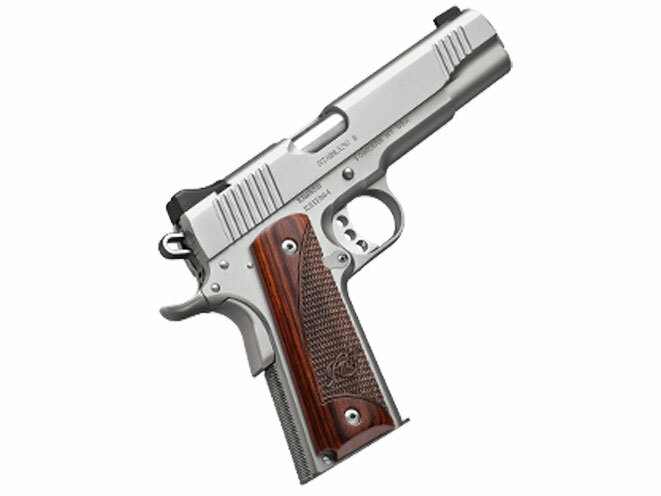 Complete information on Kimber firearms, accessories and Less-Lethal products is available at www.kimberamerica.com or by phone from Kimber in-house staff at (888) 243-4522. A detailed product catalog is available upon request. Kimber can also be found on Facebook, Twitter, YouTube and Instagram.